The calendar for Oracle Park, home of the San Francisco Giants, depicts the San Francisco skyline but is missing the Salesforce Tower — the tallest building in San Francisco. 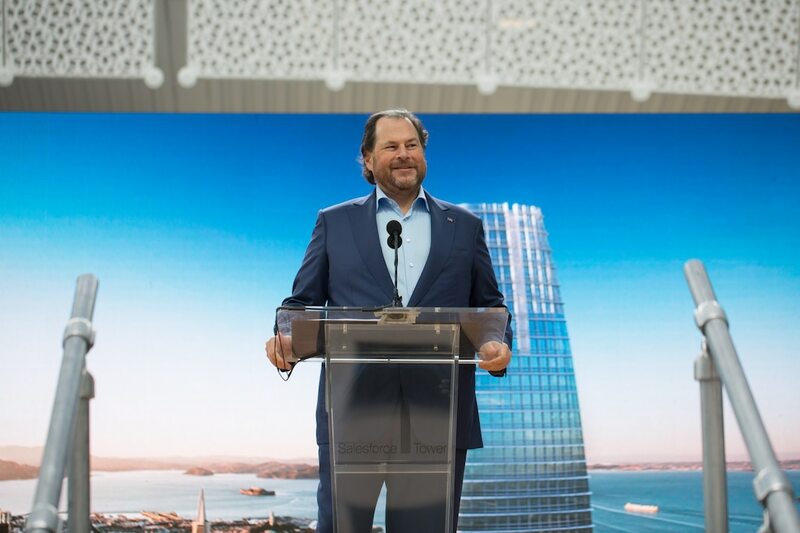 Salesforce co-CEO Marc Benioff responded in a since-deleted tweet, "Someone has Tower envy." Baseball fans at the San Francisco Giants' opening day on Friday received a free calendar for the upcoming season featuring the team's Oracle Park stadium and the San Francisco skyline on the cover. But as some people noticed, the calendar's photo of the city skyline was missing a prominent feature: Salesforce Tower.